Protect hard surface floors from unsightly scratches made by your wood furniture. Snap Glides will protect your hard surfaces from the damage caused by rail type furniture. 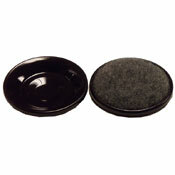 Replacement felt base feet for the wonderful Glide Guys furniture felt glides. With easy instructions, you can swap out the felt base replacements in minutes! 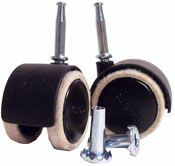 The Glide Guys felt base replacement feet are available in brown or white and are sold in packs of 4. 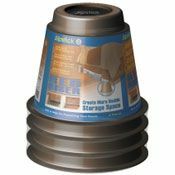 Permenantly attach these hard shell with carpet base onto your tables or stands to protect hard surfaces from scratches. 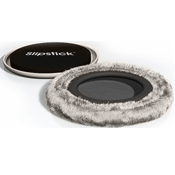 PVC Reinforced backing allows these felt pads to be screwed into your chairs so you do not have to worry about them coming off. 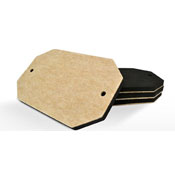 Use these felt insertion glides for your metal chairs and tables that have hollow legs. Different sizes, shapes and even angled options available. Super Feltac felt floor savers by Madico.